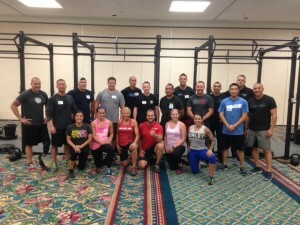 On June 27, 2014, Greg Amundson taught the CrossFit Law Enforcement Seminar at the venue for the 2014 United States Police and Fire Games in San Diego, CA. Over ten different Law Enforcement Agencies were represented at the Seminar. Thank you to all the Officers who attended, and may God bless you and keep you safe.